Before you go shopping for living room furniture in one of the Showman Furniture’s showrooms, it helps to get familiar with all the different furniture items you might need. Today we’ll show you all the different sitting options for your living room or any other room in the house. 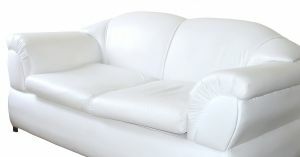 – Sofa is larger and typically seats four, while couch is only big enough for three people. 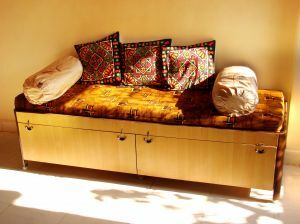 – Couch is causal and quite informal and is often used for day-to-day family hangouts. – The word “sofa” is often used to describe a “fancy couch” that is suitable for formal living rooms or guest rooms and is typically more elaborate. A sectional is a large couch (or sofa) shaped to create an angle or a half-circle. Sectional seats more people than a regular couch or sofa and provides more flexibility as to how and where people want to sit or lie. 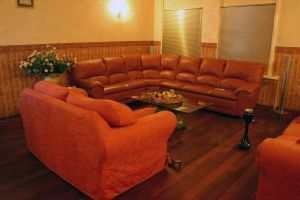 Some sectionals feature a chaise lounge which is essentially a long cushion for one person to lie down facing the same direction as people sitting on the couch. A loveseat is a small sofa that seats two people. It often comes as a part of the set that also includes a couch, ottoman and one or two armchairs. 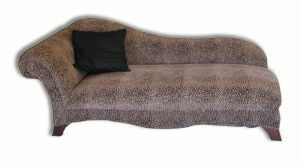 A divan is a long sofa that has no arms or back. It’s typically placed against the wall and pillows are used for back cushion. A fainting couch has one distinct feature: one side of the back is raised, so it looks curved. It’s typically a narrow couch with one arm designed for one person to comfortably recline on it. It can also be used for sitting. If you don’t have a guest room or not enough guestrooms to fit all the people who stay overnight, you’ll need additional sleeping options. That’s what futons, sleeper sofas, and daybeds are for: seats during the day and beds at night. A daybed looks like a sofa but has a mattress and normally doesn’t require any tricky transformations to turn into a sleeping space because it’s already a bed. Some daybeds have back and arms or just one arm. Many feature a trundle bed underneath to fit another person. A futon is a combination of a thin mattress and a frame, usually wooden or metal. Futon can serve as a couch and be transformed into bed when needed. The back of the futon drops and the mattress lies flat providing as much sleeping space as a twin bed. A sleeper sofa serves the same function as futon – to provide additional sleeping space. However, the back of the sleeper sofa never drops back; instead, the mattress packed underneath the cushions unfolds to form a bed. If you ever get confused, don’t hesitate to ask our associates when you are visiting our furniture store in Columbia, Md., or other location. They will help you determine your needs and guide you to the best solution.